We hope you have had fun these last few days of Navratri and danced away to the beats of dandiya music. 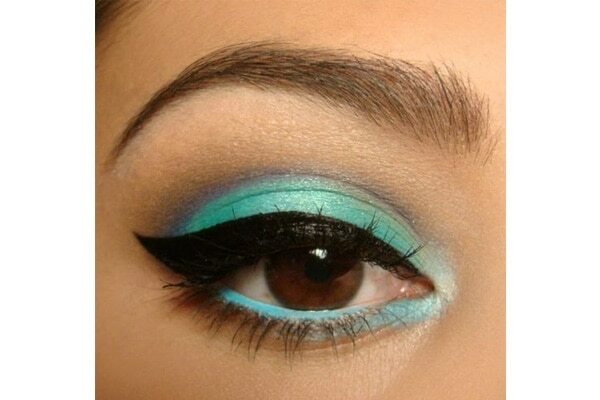 Today’s ‘theme of the day’ is sky blue and we are sure you want your makeup to match your blue outfit. 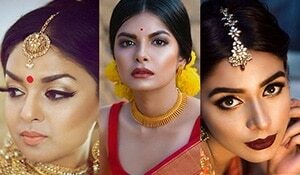 So here are some makeup looks you can try out when you go out dancing today! This is a very interesting way to include a light blue shade on your makeup. Use a light blue pencil to tight line your lower lash line and extend it into the inner corner of the eye. Use a light eye liner to top off your black liner and for this double liner look. 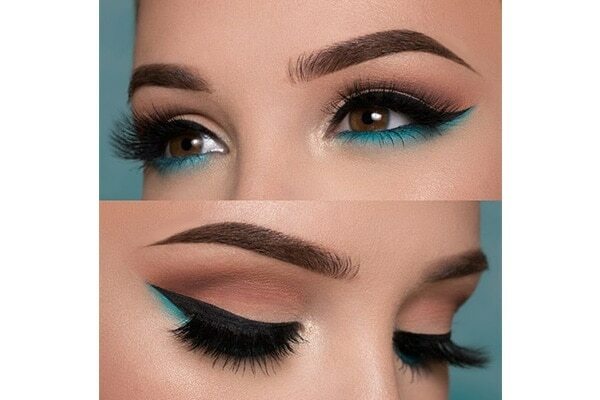 Do your eye as usual and use a teal eyeshadow just under your lower lash line for an unexpected pop of colour. 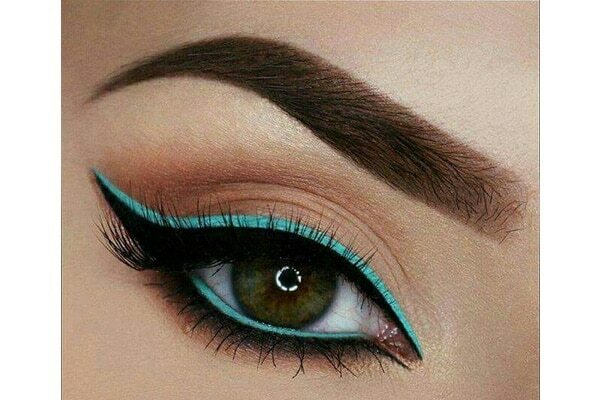 Use a teal pencil to shade the entire upper eye lid and extend the same into the lower water line. Finish with a black liner and mascara. 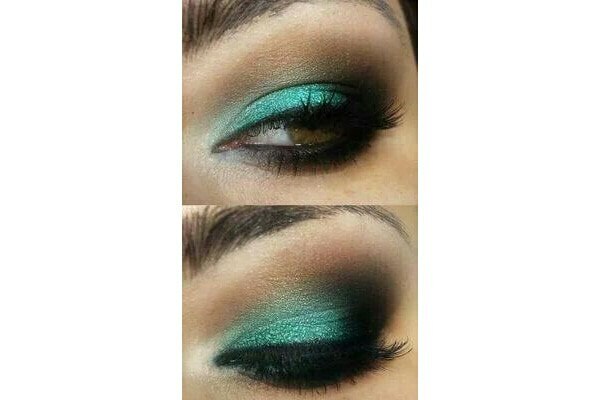 Use teal and black eyeshadow to create a smokey eye, and finish with loads of mascara!